First of all, canned coffee is nothing new. It’s been available in Japan since the late sixties and has been a staple of vending machines at train and subway stations for the past twenty years or so. Recently, though, there has been an upsurge in the availability of canned coffee, bottled coffee and coffee in cartons in this part of the world, and we’re trying to figure out if it’s being driven by demand or if it’s being pushed by the producers. Personally, I don’t know anyone who drinks it and I’ve been asking around and no one I know knows anyone who does either. So we’re at something of a loss to figure out who, if anyone, is buying it. All of the canned / bottled / carton coffees (let’s call it canned coffee, for convenience) we’ve seen have been more or less the same. They are all intended to be kept in the fridge and to be served chilled, nearly all have lots of milk and sugar added, they’re described as indulgent “treats” and not one of them is worth drinking. I’ll freely admit that I’m fussy when it comes to coffee. After all, I’m spoiled for choice and surrounded by some of the best coffee beans on earth every day at work. One of the greatest pleasures of this job is to be able to knock a blend together out of what’s on hand and make a few cups of coffee on spec. So I wouldn’t be the easiest to please of all coffee drinkers. Notwithstanding this, any canned coffee I’ve tried has been really bad. Terrible coffee really. Bad coffee poisoned with UHT milk and a ton of sugar to mask the bitterness. Even worse, it seems to me that most of the industry’s R&D effort seems to be concentrated on using sugar, flavours and additives to mask how bad the coffee actually tastes, rather than trying to improve the coffee. I would be delighted if a decent canned coffee was possible. Imagine the convenience! It would be great to have decent canned coffee on a long car journey, for example, or for picnics, on boats, and in all the other places where it’s impossible to get a decent coffee. I would be delighted to make and sell canned Greenbean coffee, if it was possible to make it to a proper standard. Selling good coffee that keeps would be good business. Making and storing coffee would help even out seasonal volatility in raw coffee prices and would help us plan our coffee purchases better. The plain fact is that it’s simply not possible. Coffee just doesn’t keep. Coffee is a highly perishable drink. If you’ve ever tried to bring a cold, stale cup of coffee to life in a microwave, you’ll know how bad old coffee tastes. Coffee starts to degrade within minutes of being made and the delicate flavours and aromas simply disappear if the coffee isn’t drunk while it’s fresh. It’s the volatile oils in coffee that gives it most of its flavour. These oils will start to deteriorate as soon as they come in contact with the oxygen in the air. When the oils are dissolved in water or when they’re heated in the brewing process, the process is accelerated. The fine flavour and aroma disappears leaving only bitterness and a rubbery after-taste. This is why leftover coffee tastes so bad. Cold brewing coffee doesn’t change this fact and putting it a bottle or can certainly doesn’t help. If it was possible to produce a drinkable canned coffee, I’d be one of its greatest advocates and I’d most likely be in the canned coffee business. So far, it seems pretty elusive. 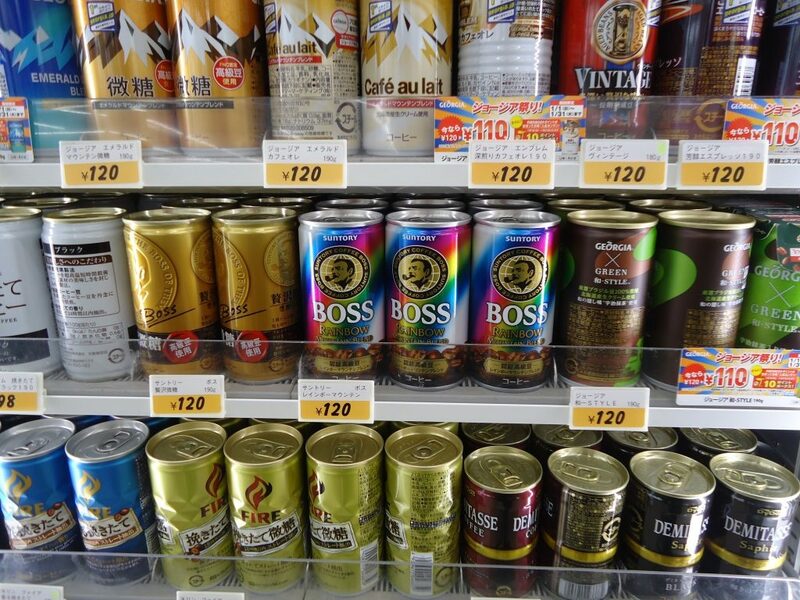 Have you or anyone you know ever found a decent canned coffee?